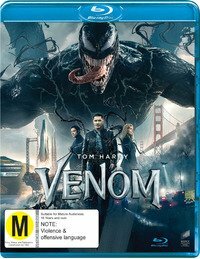 ➢ “Venom was digitally photographed, primarily at a resolution of 2.8K and finished at 4K, unsurprising given the digital roots and effects-heavy picture. The UHD looks terrific even upscaled and offers a solid boost over the Blu-ray, a sharper, clearer, cleaner image in every way. The digital source photography shines on the UHD, enjoying a razor-sharpness and near filmic qualities that the Blu-ray cannot quite achieve, evident throughout the film but perhaps most obvious in well lit and dense scenes.” — Blu-ray.com. ➢ “The 1080p transfer looks solid and this Ultra HD rendering takes it up a notch with a discernible increase in detail, and emboldened highlights, both light and dark. The film has a multitude of sequences containing either fiery explosions, streaming /cascading light, and mixed light dark elements, that look terrific. The extended chase during chapter 9 was the presentation’s highlight from an HDR perspective. At times this can be a somewhat darkish film, and its low-level sequences had excellent depth and dimension.” — AVSForum. 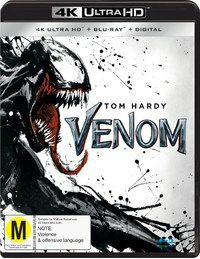 ➢ “Eddie Brock makes his solo feature-length debut on Blu-ray with a frighteningly magnificent and often stunning 1080p/AVC MPEG-4 encode … There are a few moments of minor softness here and there, but they appear related to the original photography and cameras used, not an issue with the encode.” — High-Def Digest. ➢ “Grain levels are fairly solid throughout and are quite thick. Detail is excellent, even with occasional diffusion during scenes when brighter lights dominate the background. Colours are reproduced well, if not unremarkably due to the drabness of the urban environments that they take place in. Black levels are mostly solid with decent shadow detail while contrast and brightness levels are satisfactory.” — The Digital Bits. 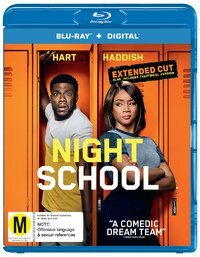 “This Blu-ray version is sharp, colourful and devoid of any artifacts, ringing or other distracting elements. Efforts to present it in the absolute highest quality in 4K UHD HDR were effective here in this downrezzed presentation. Shadow detail and color balance are spot on, and very pleasing, even during the night time ‘caper sequence’.” — Home Theater Forum. ● Also new is Once Upon a Deadpool, a family-friendly cut of Deadpool 2, which blends most of the footage of the original movie with The Princess Bride-style storytelling. Venom looks and sound great on BD. Too bad the character was dumbed down for the film.